The Swarovski EL Binoculars 8X32 Traveler Swarovision binoculars are great for those who love to travel. Let me get the price out of the way first up. These beauties will cost you near $2000. Yes, that is three zero’s. These are not for everyone. In fact, they are probably not right for you. These are the perfect set of binoculars for the sophisticated traveler, who uses only the very best. Meet the Rolls-Royce of the binocular world. These are specifically designed for traveling and I think you will be very impressed with them. Austrian manufacturer of top rated binoculars, telescopes, rifle scopes, night vision instruments, and tripods, SwarovskiOptik has been in business for over 60 years and continues to create exceptional optics at reasonable prices. So continue reading to see how well this particular pair of binoculars did in our Swarovski binoculars review. There are a few things I look for when rating and reviewing a pair of binoculars. The first thing is the quality of the construction. How is the binocular built and put together? These things affect how long the binoculars will last and what they will be able to handle as far as certain weather conditions go. I also look at the quality of the images it produces. The purpose of using binoculars is to be able to bring something far away into your realm of vision. Binoculars help you see things you wouldn’t otherwise be able to see. That’s why image quality is so important. And when you use these Swarovisions you will be pleasantly surprised at how great the image you see is. The attention to detail can’t be described in words. I would dare to say these binoculars are impeccable when it comes to image. This is because they spare no expense and use only top quality coatings and components. Another thing you will love is the field of view. When you are traveling having a wide field of view is extremely important. That’s the only way you will be able to see all the things you want to see. 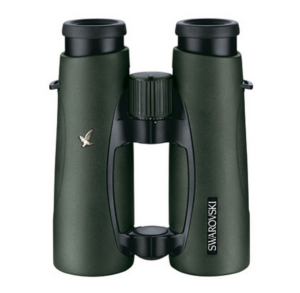 With the Swarovski EL 8×32 W B Traveler binoculars, you get a field of view that spans 140m at a distance of 1,000 meters. This makes them one of the best wide angle binoculars available. Lastly let’s talk about price and how much you can expect to pay for a pair binoculars of this caliber. Keep in mind these binoculars are of very high quality. It is built with quality materials and it uses quality components to enhance your travel experience. This type of stuff doesn’t come cheap. And when it comes to binoculars, you really do get what you pay for. These traveler binoculars from Swarovski will run you close to $2,000. 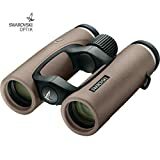 That might sound like a lot, but if you are a refined traveler you will see the benefit in investing in a pair of binoculars of this caliber. Your fellow travelers will be looking on in jealousy when you whip out your pair of Swarovski’s.